3 6. 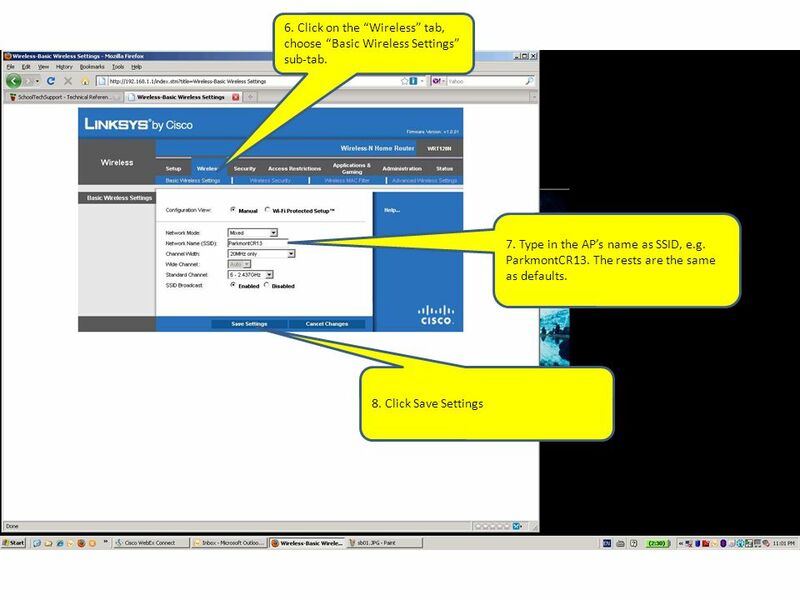 Click on the “Wireless” tab, choose “Basic Wireless Settings” sub-tab. 10. Choose “WPA Personal” as Security Mode 11. Enter your AP’s encryption key. 12. Click Save Settings. You’re done. The rests are the same as defaults. 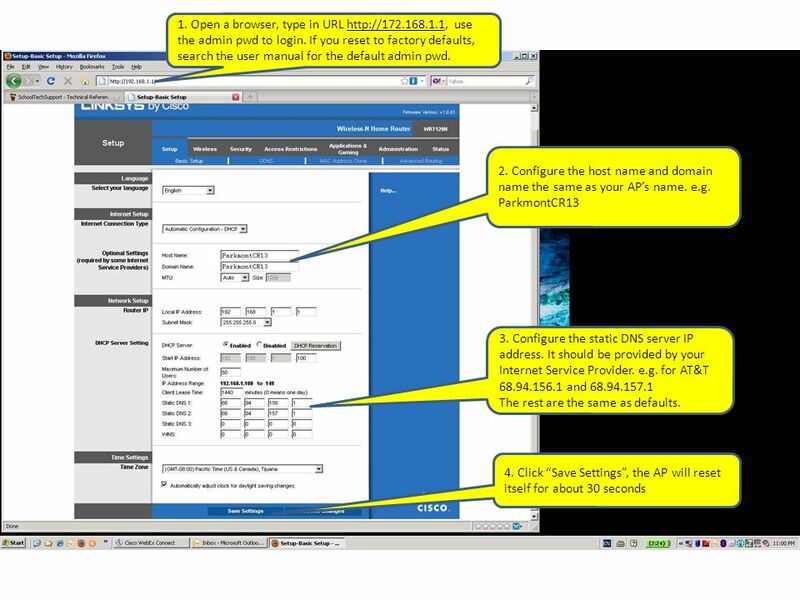 Download ppt "How to configure Linksys WRT-120N wireless Access-Point(AP) router"
Drupal Basics Part 1 An Overview Login Information Edit the Homepage Using the theme Agricultural Communications Services Integrated Media Training Sessions. Rana Radwan LTEC 4550 Configuring a laptop to access a Wireless Access Point. /30 Host Name : R1 Serial 0/0/0.1.2 Host Name : R2 Router Lab 3 : 2 - Routers Connection DTE DCE. Networking By: Matt Motl… Programmer Brent Everson… Programming Mentor. 1 Basic Installation and GUI Tech Basic Installation and GUI : Objectives  Installing the Quadro  Configuring the Quadro  Installing IP phones. DSL-2870B How to Change ADSL Username and Password in your modem router How to Change Wireless Channel in your modem router How to Open Ports in your modem. DIR-505 All-in-One Mobile Companion Greg Quinlan Technical Trainer. DHP-306AV & DHP-W306AV. 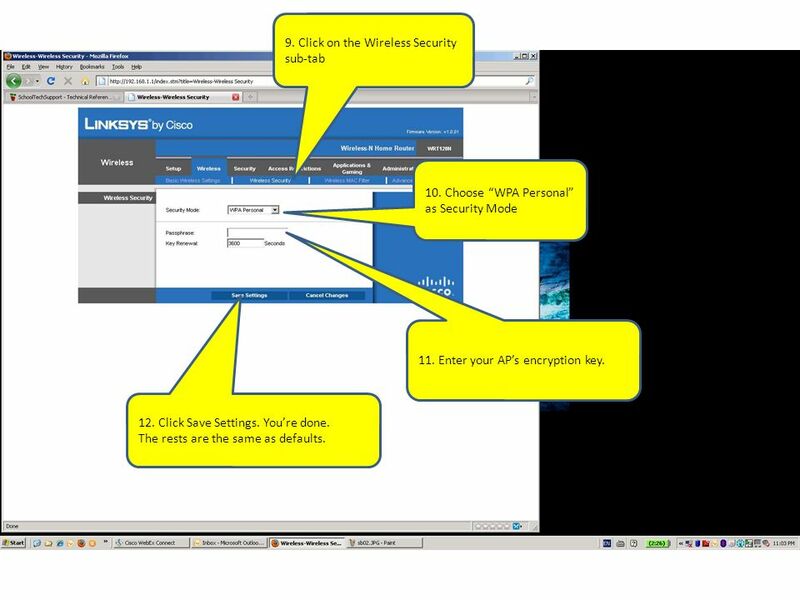 Agenda: How to change Encryption on a DHP-306AV How to change the Device Password on a DHP-306AV What will happen if the Device. 6 February LAN-50/500 Ethernet Communication. Wireless setup utility for Portable Printer P-20. 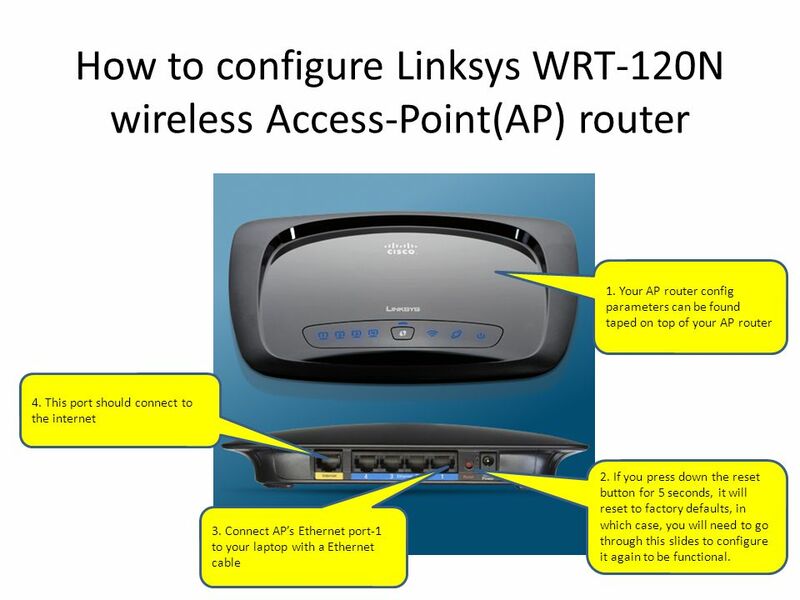 1/28/2010 Network Plus Unit 4 WAP Configuration WAP Configuration In this section we will discuss basic Wireless Access configuration using a Linksys.